I am giving away one PM Prepcast worth $99.97. Send me an email (see email info on the right panel of the blog) and include "I want the PM Prepcast" in the subject line. Thats it. You can email me within July 31, the winner will be announced in August. To read more about the product, read my post here. 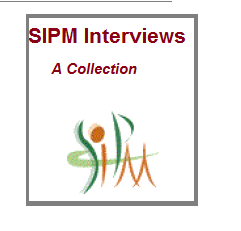 If you would like to spread a word about SIPM to your friends would be much appreciated. 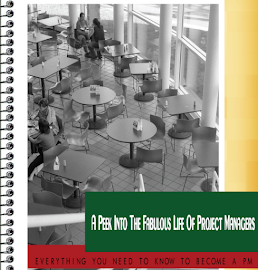 This post is not about project management. This is about happiness, so this Monday you are ready for the week and smiling! So, I asked you What makes you happy PM's? Other than meeting deadlines...a good book n coffee/movie/ close grp brunch/sunday newspaper makes me smile. The job, blogging, keeping up with my reading list, SIPM all keeps me busy and to the point that sometimes I don’t feel very inspired in my everyday life. When things just become items in my schedule and happiness seems far away, I try something new to bring it back. Talking to the people I respect and being sincere about the problems I am facing I think automatically brings in a new perspective for me, calling up my friends and talking silly and nothing about project management is relaxing, going out for a walk and enjoying it, listening to good music, having a chocolate or a cup of tea and a good book that inspires is nice. I also like visiting grocery stores for inspiration to whip up a new dish or go completely crazy and color my hair a brownish red. I always don’t plan out everything when I take a break; I think randomness brings out a different side to everyone. Enough of what I do, what makes you happy? Here is what does for Elizabeth Harrin. 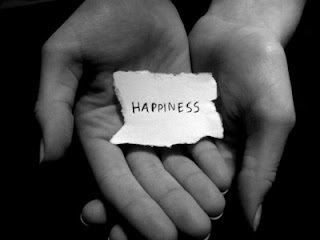 To read more about happiness, try this and this. Looking for a job? Wake up this Monday to update your resume and get some amazing tips from the experts. 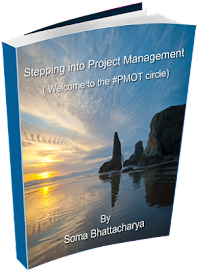 Looking towards taking the next step in your career and want to try Project Management, learn from the seasoned PM's here for no charge. There will always be moments when you need the extra push in your life to get to your next milestone. Everytime I have pushed myself I end up surprising me. It's true for most people I know. This long weekend, I ended up watching the triathlon in television and heard the narrators talk about the winner and how she has been out of the sports for a year and came back better than ever- and won! It made me think, how I get too comfortable or even complacent sometimes and don't do what I can do or should do. There are times, when you just know it is the right time for you to take action or make he next move. If you have always wanted to become a project manager, may be this is the time to look for a new opportunity or simply learn a new skill. So, July is my month to do everything I'm not comfortable doing and trust me it's a long list. So, I took a break. I thought about it while I roamed the isles of the Japanese grocery and filled in my cart with steamed buns, dumplings, sea weed, bean sprouts and a beautiful tea set. By the time I came back home after an entire day spent outside- shopping and watching people in the mall; I read this piece (see below). It struck me as just the perfect thing I should have read. So - why not share? Given below are some paragraphs that really touched me, however you can read the entire article here. The author Malcolm Gladwell in his book Outliers described the 10,000 Hour Rule as a reason why some people become successful. This rule is based on a study that was conducted by Anders Ericsson. In this study, it was discovered that those who became successful in their given field had practiced it for a total of 10,000 hours prior to being discovered. InGladwell’s book, he uses the example of the Beatles and how they practiced for 10,000 hours prior to becoming famous. Every spare moment I had, I was reading or talking to someone who was doing what I wanted to do. I also began to apply the theories to my life and started living what I studied. When Charlie Rose asked Steve Martin about what advice would he give to others starting out in the acting business, Martin said the following: “Be so good at what you do that they cannot ignore you. A guy dressed in sweat pants may seem like a no body to you but for all you know, he may be the person that has the ability to help you achieve a certain goal. Years ago, I read a biography on the life of the singer Madonna. Many people recounted how when Madonna was just a club act, she handled every show as if it were a concert in a huge arena. The general conclusion was that she was acting like a superstar even before she became one. Visualization is a tool that I use frequently because I have seen it work. Many times in my life, I visualized achieving certain goals or having certain funds. And every single time without fail, each item that I visualized became a reality. Sometimes it took hours and other times it took years. Thank you everyone for their support and the encouragement. The blog would have never happened if it wasn't for the crisis I was in. I thought my job profile was getting stagnated and I needed something to keep me going. A commitment to myself that was getting hard to keep everyday. 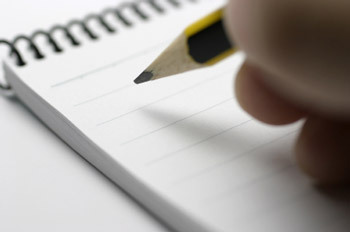 Finally, in desperation I decided to put it in writing and started the blog. When Elizabeth Harrin spotted my blog for the first time; it gave me the unreal motivation to write regularly. I have never stopped since that day. There has been good times and bad times and I have kept the blog consistent (at least tried to); so getting the votes in the PPM Community was big deal for me. I am so humbled, grateful and happy. There are lots of good blogs out there in Project Management and I voted for all the blogs I read, please vote for the blogs because a little inspiration goes a long way for all the bloggers who take the time out of their busy life to do so. Thank you again everyone for the votes!